R.A.W. Tree Service is local, being natives of Sarasota, Florida and with all of the changes that we see in our rapidly growing city, we thrive to do our part to keep our home town beautiful. We are family owned and operated. We do a fair day's work for a fair price. We take pride in our work and we show it. Customer satisfaction is our priority. We don't mind if you watch or ask questions. However, safety is important to us, the work area should be kept clean and clear so that no one gets hurt. 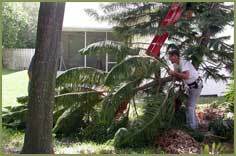 We specialize in the following services: Tree Service • Tree Pruning • Tree Trimming • Tree Removal • Hurricane Clean Up • Yard Clean Up • Hauling. We also provide all these services for rental homes. If you are local or out of the area and have a rental home in Sarasota or Manatee just give us a call and we will be glad to take care of your outside area. 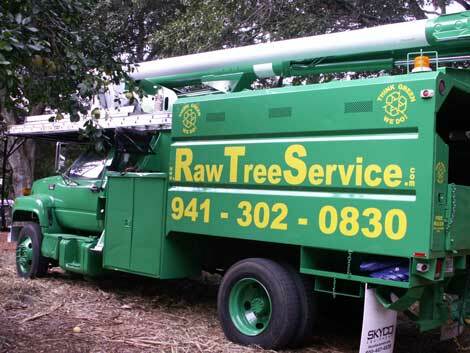 What Makes RAW Tree Service Unique? Web Site Design Bradenton Search Engine Optimization by: Noble Webworks, Inc.